Located on Loman Ridge, top of Richwood, turn left towards Schutz Cemetery. Go across the road and take the ATV trail about a mile out the ridge. 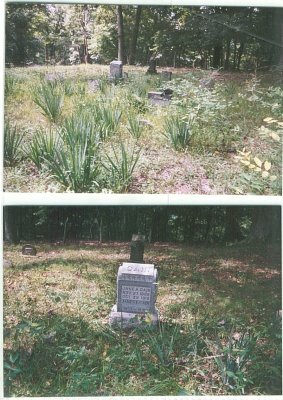 This cemetery has not been mowed and their was evidence of unmarked graves. Read August 2005 by Nora and Bonnie Hostutler.